It wasn’t enough for the Psalmist to just know what God’s Word said, he wanted his life to be dictated by God’s Word. And he knew that if this were true then sin would not rule his life.The familiar maxim comes to mind again – Sin will keep you from God’s Word or the Word of God will keep you from sin. So the Psalmist did two things: 1) He spent time reading and learning and pondering the Word of God and 2) He prayed – he prayed that God would use the Word in the Psalmist’s life to “direct my footsteps.” This is a great example of how the Word of God and prayer go hand in hand. As you read, pray. And when you pray ask God to work his Word into your life in practical ways. The Psalmist was a passionate man. This is quickly obvious as you read through Psalm 119. He was passionate about God’s Word. He was passionate about knowing God. He was passionate about hearing His voice and seeking His face. But he was also passionate about God’s glory. This verse reflects his passion to see God honored and obeyed. And when people do not give God the honor that is His due it literally brought the Psalmist to tears. Question: As you and I look around at our world and see the egregious way that people have rebelled against God are we brought to tears? Do we have the same kind of passion that the Psalmist had for God’s glory. And if not, why not? Here are a few of the verses from this section that caught my attention. Good stuff! Huh? What does he mean by that? The Psalmist uses the term “wineskin in the smoke” as an illustration of how he felt. Drinking containers in ancient times were usually made of skin. These skin bottles were often used out in the wilderness to hang in a tent when the use of fire was needed inside and there was no chimney. The skin would absorb the smoke for a long period of time. The skin would become hard and shriveled because of the smoke and afterwards it turned black and was useless. The psalmist is saying that he felt useless – dried out, shrivelled, and soot-covered spiritually but he wasn’t giving up. And he would not forget God’s Word no matter how he felt. The lesson for us is this: No matter what life brings and no matter how distant from God you might feel, hold on to God’s Word. Don’t let go. Cling to it as you would a life preserver in the open sea when you have had to abandon ship. This verse reminds me of my call to ministry. In college I heard a speaker say that there were only two things that were eternal in this world – God’s Word and people. And that we should spend our lives investing in these two eternal things. I knew after hearing that that I would be a Biomedical engineer, which is what I majored in in college. I knew that I would pursue a life of vocational ministry which would enable me to maximize my time as I invested in eternal things. So there seems to be two things going on here. Because the Psalmist loves the Word of God, he hates evil and does whatever it takes to steer clear of it. And because his desire is to obey God’s Word, he avoids sin so that it does not short circuit his relationship with God. Do you see the difference? On the one hand, the Word of God keeps him from sinning. And on the other hand, he know that sinning would keep him from the Word of God so he is very intentional about staying away from it. So here is the question to me… and to you: Do I love God and His Word more than I love sin? We don’t have to look very far to find the answer to that question. Last week got kind of busy so I am a week late on this post. There were several verses from this section of Psalm 119 that grabbed my attention. Here they are and a few comments about each one. v.67,71,75 “Before I was afflicted I went astray, but now I obey your word./It was good for me to be afflicted so that I might learn your decrees./I know, O Lord, that you are righteous, and in faithfulness you have afflicted me. Perhaps you are realizing along with me why I love Psalm 119. So many choice verses to ponder and pray. Already looking forward to this next week. 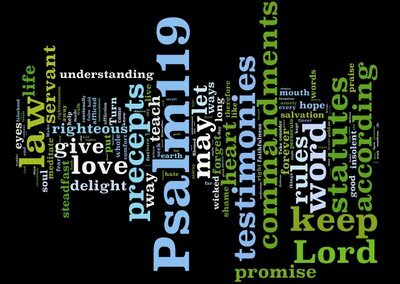 As may be true for many people, Psalm 119 is my favorite Psalm. So this is not my first time pondering it. It is a Psalm that I frequently come back to when I feel like I am going through a period when I do not feel like reading Scripture. There are so many choice verses that reinvigorate me spiritually and help to re-create a hunger for God and His Word. Here are some of the verses from this week’s pondering and a few comments about them. The Psalmist evidently loved God’s Word so much that it was the subject of conversations that he had with people. I find that I talk much more about sports, politics, and current events than I do about the Word of God. Is this an indication of how passionate I am about Scripture? I think probably yes. We live in a very materialistic culture. I am very much a materialist myself. I find that it is easy for me to be a God-follower as long as I have all my material needs being met. I often wonder would I do so if to the same degree if these were stripped away from me. In other words, where does my joy come from? Another great prayer that I find myself coming back to. Again and again. And again! I find that more often than not I pursue selfish gain and worthless things rather than the Word of God. This prayer right here needs to be my daily Scripture mantra. In John 15:4-5, Jesus made it clear that the divine source of life and power comes through abiding in Him. But how does one abide? 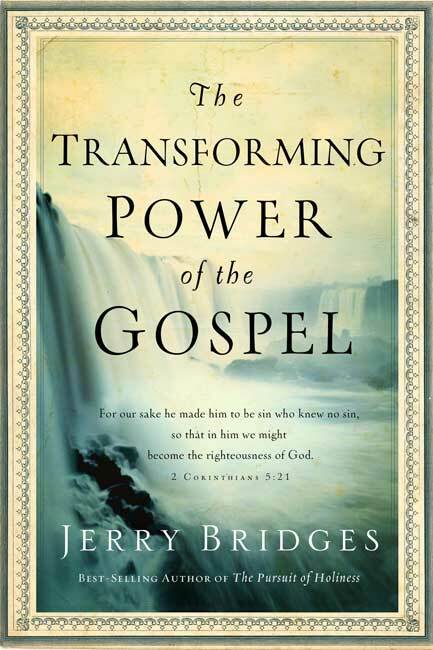 Most often we think of activities such as studying our Bible and praying as abiding in Christ. These are important spiritual activities. But these activities do not constitute abiding in Christ, rather they belong to a subject we call communion with Christ. What does it mean to abide in Christ? It is reliance on Him for His life and His power. By faith we renounce and confidence in our own wisdom, willpower, and moral strength and rely completely on Him to supply the spiritual wisdom and power we need. This does not mean we sit back and “just turn it all over to Him” to live His life through us; rather, we rely on Him to enable us. So we can say that our salvation is by faith and our transformation is by faith. But this does not mean that the object of our faith is the same in both cases. In salvation, the object of our faith is Christ and His unfinished work for us. When He uttered those memorable words “It is finished” (John 19:30), it was a cry of triumph that the salvation which He had earned for us in His sinless life and sin-bearing death had been completely accomplished. There was nothing more for Him to do. And trusting Him for our salvation, there is nothing for us to do except receive Him by faith.